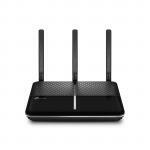 "By FAR the best router I've ever used. Rock solid, fast, stable VDSL connections with one of the best admin interfaces I've ever seen. 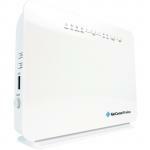 I've had multiple different routers from other manufacturers..."
"This modem is a lifesaver! Very well made. Its shiny red coat matches the red decorations around me. Definitely a 5/5." 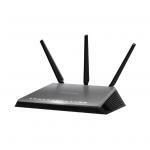 "Most excellent router stable and well rounded." 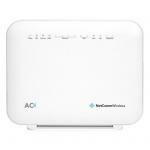 Not only does new Wireless AC boast a considerably larger range, but it's also three times faster than existing standards. The choice of two wireless frequencies allows you to optimally incorporate all your devices: from tablets and laptops through to smartphones, everything is connected at top speed. You can connect all your phones to the FRITZ!Box 7490 and stay informed of calls and voice messages, even when you're not at home. Multiple answering machines and a fax function give you even more convenience. With the 7490, you can always enjoy technically flawless entertainment throughout your home network. Thanks to its high-performance USB 3.0 ports, FRITZ!Box is the perfect multimedia hub, with music, images, and movies instantly available everywhere, so breathtaking HDTV and your favorite music now come to you - and not the other way round. FRITZ!OS, the operating system for your FRITZ!Box, regularly provides you with new features. Thanks to FRITZ!Apps, you can access your data from your smartphone when you're not at home, make calls within your home network, or operate your playback devices. It goes without saying that all updates and apps are free of charge. 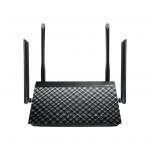 Most excellent router stable and well rounded.Most excellent router stable and well rounded. My ISP sent me a Netcomm NF18ACV, which quite frankly is utter rubbish. But I purchased one of these, and haven't had any issues since. This modem is fantastic, I would highly recommend this to friends and family.My ISP sent me a Netcomm NF18ACV, which quite frankly is utter rubbish. But I purchased one of these, and haven't had any issues since. This modem is fantastic, I would highly recommend this to friends and family. This Modem Router will do everything and more if you have the know how. Things like bridging (painful) and establishing a VPN require more experienced know how and a lot of patience. I also recommend the fritz!fon if you need a internet phone which from the several I have tried is the best so far. 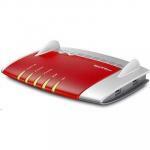 For its price and an entry level VDSL2 Router/Modem this is possibly the best bang for your buck.This Modem Router will do everything and more if you have the know how. Things like bridging (painful) and establishing a VPN require more experienced know how and a lot of patience. I also recommend the fritz!fon if you need a internet phone which from the several I have tried is the best so far. For its price and an entry level VDSL2 Router/Modem this is possibly the best bang for your buck. By FAR the best router I've ever used. Rock solid, fast, stable VDSL connections with one of the best admin interfaces I've ever seen. I've had multiple different routers from other manufacturers which were absolute junk, requiring resets or power cycles after just a few days (ASUS, Belkin), This thing hasn't skipped a beat or dropped a connection in months. Worth every penny.By FAR the best router I've ever used. Rock solid, fast, stable VDSL connections with one of the best admin interfaces I've ever seen. I've had multiple different routers from other manufacturers which were absolute junk, requiring resets or power cycles after just a few days (ASUS, Belkin), This thing hasn't skipped a beat or dropped a connection in months. Worth every penny. This modem is a lifesaver! Very well made. Its shiny red coat matches the red decorations around me. Definitely a 5/5.This modem is a lifesaver! Very well made. Its shiny red coat matches the red decorations around me. Definitely a 5/5. Great control over children's internet usage, able to schedule when each device is on or off. WiFi signal was effected negatively.Great control over children's internet usage, able to schedule when each device is on or off. WiFi signal was effected negatively. Simply the first router I have that I did not need to reboot from time to time!Simply the first router I have that I did not need to reboot from time to time! Have not had a drop out since, my old one was dropping out most days. Excellent wireless to all areas of the house. PB Tech price: PB Tech price: $262.61 ex. $302.00 inc.